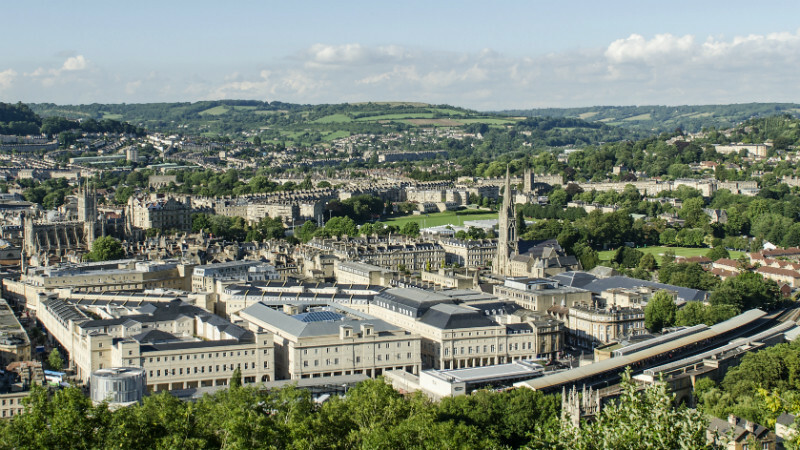 Bath is easy to get to from London, and Bristol airport is only a short distance away. Visit nationalrail.co.uk or trainline.com for train timetables, fares and cheap advance tickets. On Open Days, there will be student ambassadors posted at the station to direct you to buses and taxis. DisabledGo.com provides for information about the accessibility of Bath Spa railway station. Visit National Express to plan journeys to Bath. There are frequent daily services between London Victoria, Heathrow Airport and Bath. You can also plan journeys by bus and coach using Traveline South West. Our nearest airport is Bristol International Airport. The A4 Air Decker bus service will take you directly from the airport to Bath. There are regular connections by rail and coach from London Heathrow and London Gatwick. Traffic in and around Bath can become very congested, especially at peak commuter time and weekends. Use an online planner to find the best option for driving to Bath. There are several city centre car parks. Limited, short-stay, on-street parking is also available and is Pay & Display. Park and Ride services to the city centre are also available in Newbridge, Lansdown and Odd Down.